To talk about Pay-at-the-Table, its adoption, benefits to merchants and more, we caught up with Jason Hattenburg, Partner Manager at SecureTablePay. 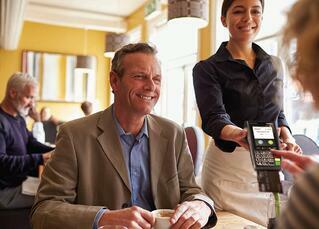 Ingenico Group: In what ways does a Pay-at-the-Table solution benefit the restaurant industry? Jason Hattenburg: Allowing a customer to pay directly at the table increases server efficiency by eliminating steps in the payment process and decreases the risk of human error. The server only needs to go to the point-of-sale (POS) workstation once—to place the order—allowing them to turn tables quicker. Additionally, with an EMV-certified Pay-at-the-Table solution, restaurants can eliminate costs from chargebacks and other security-related penalties and allow servers to spend more time engaging with their guests instead of closing out orders at the POS. IG: What are some of the common challenges that merchants face when implementing Pay-at-the-Table?  How can merchants address these challenges? JH: Pay-at-the-Table will be a cultural shift for the US and will be the last major world market to adopt Pay-at-the-Table the solution. With this, there will be a need to educate the restaurant staff and the general public as well. IG: How has the adoption of Pay-at-the-Table been among merchants in the U.S.? JH: Adoption of Pay-at-the-Table within the U.S. has been linked with the slow adoption rate of EMV in the country. The main reason is simply that there hasn’t been an effective semi-integrated EMV-certified solution available in the U.S. until recently. Semi-integrated refers to a Pay-at-the-Table solution that can pull tables and checks to the payment terminal for processing but also push back data to the restaurant management software for reporting and other purposes. IG: Aside from enabling restaurants what industry challenges does Pay-at-the-Table solve and how? JH: Pay-at-the-Table solves two big industry challenges - security and efficiency. IG: Is Pay-at-the-Table affecting consumer’s behavior? If yes, how? JH: Pay-at-the-Table has affected consumer behavior in countries where it has been in the market and matured over the years. There has been faster table turnover as guests don’t have to wait for the payment process in the U.S. It has also resulted in a higher tipping average due to the automated percentage options on the payment solution. IG: What are the different types of Pay-at-the-Table solutions available in the market? Do certain solutions work better for certain use cases over others? Please explain. JH: There are a few options starting to hit the market. Some Pay-at-the-Table products operate on a push technology, which essentially has the server go to the POS that sends the check to the Pay-at-the-Table device. There are also pull technologies, which means a server can pick up a Pay-at-the-Table device and pull the check right to the Pay-at-the-Table device without interacting or tying up the POS terminal. The pull technology is superior as it saves a step and a server’s valuable time! IG: What are some of the ways Pay-at-the-Table has evolved over the years? JH: Pay-at-the-Table has grown from “dummy” hand-held payment terminals that had no integration with their restaurant management software, into something on par with smartphones that have feature rich interfaces allowing a restaurant to increase productivity, security and profitability. As the hardware evolved and improved, so did the overall solution. IG: How do you see Pay-at-the-Table evolve over the next five years? JH: Patrons and servers will not only get accustomed to Pay-at-the-Table but demand it as they experience the time savings, security benefits and control of never letting go of their card. As consumers and restaurants in the U.S. start adopting Pay-at-the-Table, the functionality requirements will increase as well. As Pay-at-the-Table adoption grows we will see Pay-at-the-Table the solution become a standard way to pay your bill at restaurants across America. IG: Other than payment acceptance at the table, are there any other innovative uses of the solution that you might have come across? JH: Pay-at-the-Table devices can be used for gift card sales, loyalty cards and social media interactions with the consumers. Delivery drivers can also use cellular network capable devices that tie back to the restaurant management software. As the hardware gets better, we will be able to do more at the table. IG: What are some of the other innovative payment technologies that you have seen in the restaurant industry? JH: There’s been somewhat of a gold rush to change the way consumers pay for things these days. We’ve even seen restaurants go 100 percent cashless using mobile payment apps. Quite ingenious, but it only speaks to a single demographic at this stage. There are also quite a few Pay-at-the-Table technologies that don’t require servers to bring a device to your table. Instead, they function via a tablet or stationary devices at the tables, which can take and process orders. Pay-at-the-Table devices will also bring cryptocurrency payments, such as Bitcoin, to the table. As these currencies increase in value, usage and acceptance there will be a demand from guests to be able to pay with these forms of payment and Pay-at-the-Table will allow this. Hope you found this blog post useful. Please leave your comment and questions in the comment section below.